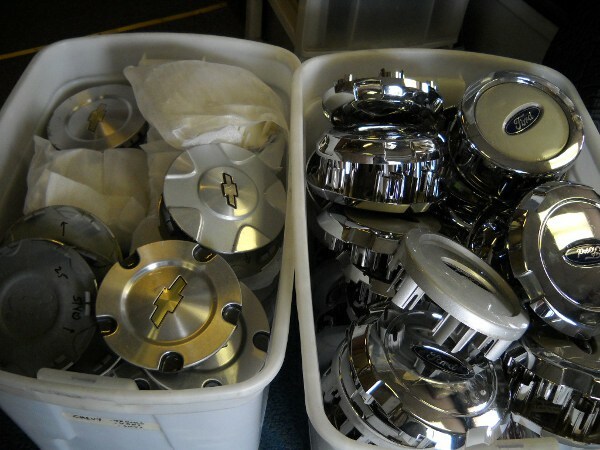 Hub Cap Annie has been serving the Birmingham area for 36 years. 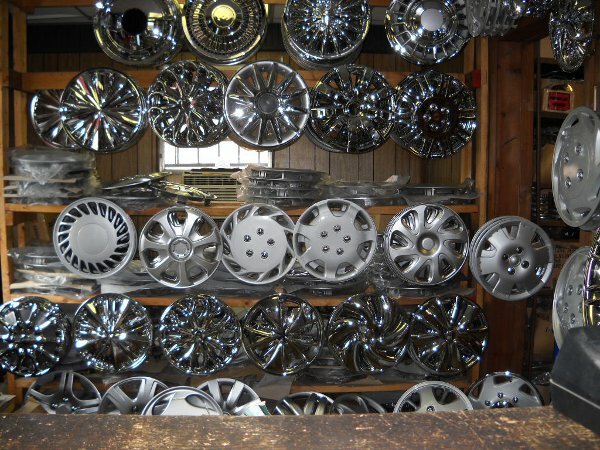 Located in the Woodlawn area near downtown Birmingham, we strive to provide new and used hubcaps, centers and wheels at the best possible prices and with the highest quality of service. HAS CLOSED ITS DOORS PERMANENTLY. THANKS FOR YOUR PAST PATRONAGE. Before you call make sure to have the following information so that we may help you. 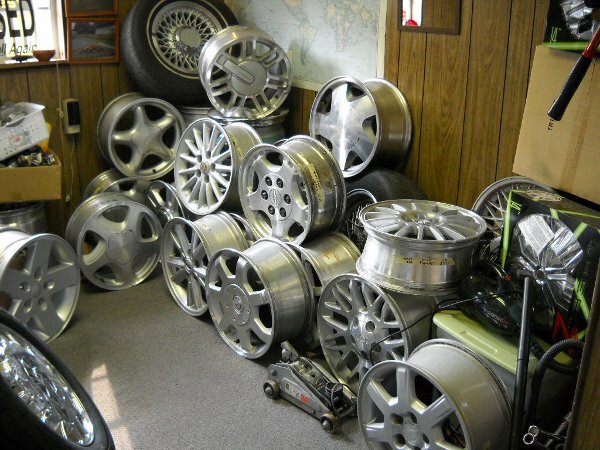 Many different hubcaps may fit your car and we need this information to find the one you are looking for. If you cannot find this information, just stop by the store and I will find it for you. Make, model and year of your car. 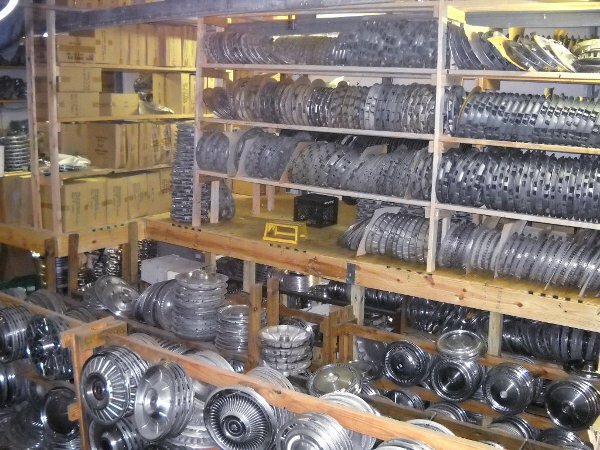 We are located in the historic, revitalized Woodlawn area of Birmingham, near the airport. We are located on 1st Avenue North between 52nd and 53rd streets. Take I-59 South past Roebuck Parkway (exit 134). Take the First Ave. North Ramp (exit 132, Highway 11). At the bottom of the ramp, turn left onto First Ave. North at the stoplight. Proceed a couple of miles until you see us on your left, just past 53rd Street. Take I-65 to the I-20 / 59 exit toward Atlanta (or if coming from Bessemer/Tuscaloosa just stay on I-59/20) and follow I-20 East/ I 59 North for about 5 miles. Along the way you will pass the Civic Center, Tallapoosa Street, and Airport Road. Shortly after Airport Road, the interstates will split. Stay right on I-20 East toward Atlanta. Take exit 130 and stay in the right hand lane, and take the First Ave. North exit while still in the curving exit ramp (130 A). Follow First Ave. North for one mile until you see us on your left, just after 53rd Street. Take the Elton B Stephens Expressway (also known as The Red Mountain Expressway or Highway 31 North) into downtown Birmingham. You will pass St. Vincent’s Hospital and eventually exit on the right onto First Ave. North (Highway 11) and go three miles toward Eastlake and Roebuck. We will be on the right just before 53rd street. Take I-20 West past Century Plaza Mall. Go past Montevallo Road to the next exit, First Ave. South (exit 130-B). Note that this exit is before the Gadsden ramp to I-59 (which is 130-A). Get off at First Ave. South and go straight through the stop sign at the bottom of the ramp for one more block until you reach a stoplight. Turn left onto First Ave. North, and in one mile we will be on your left just after 53rd Street.